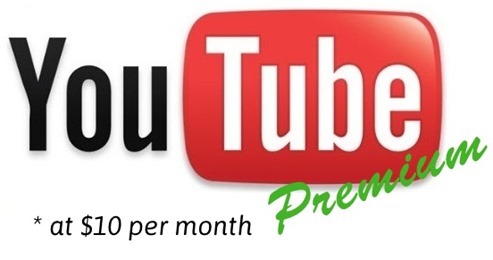 By the end of the year, Youtube will most probably announce the launch of its paid subscription services, wherein users can pay $10 per month to access advertisement free streaming of music and videos. Insiders are claiming that this paid service would be more or less targeted towards mobile users. This new paid service from Youtube will pitch them directly against services such as Spotify, Rdio and Rhapsody which also provides paid online music streaming. Speculations are ripe that this new Youtube paid service has been modeled on the Google Play Music All Access service, wherein users pay a fixed monthly charge of $9.99 to get unlimited access to thousands of sound tracks which are available on Google Play, without advertisements on Android devices. Youtube paid subscription model has been targeted for mobile users. One of the most crucial premium service which can be offered is caching of music for offline listening. To save broadband costs, users would be now able to cache music using any free WiFI network and then listen in offline mode. In fact, this offline listening mode inside Youtube mobile app has already started, and most probably, this would be converted into a premium feature later. Often we can see only few songs of an album being listed on Youtube. Premium version is expected to remove this hurdle as they have directly partnered with Warner Music Group in March, followed by Sony Music Entertainment and Universal Music Group to offer full versions of music albums and movie songs. With premium Youtube, users can access almost every song ever created, right on their mobile. This is the most obvious feature which is expected in a premium version of Youtube. Advertisement free access to music is the ultimate fantasy of music lovers, and paid Youtube will help fulfill this dream. Another possible feature which can be part of future offering is pairing of Youtube with Google Glasses. Google is pretty much excited with its Google glass concept, and is leaving no stone turned to make it better and more popular. Additionally, we have already covered how Google Glass can change the technological landscape and the possibilities looks promising. Premium version of Youtube can take this one step further, and fully integrate the capabilities of its huge platform and embed that into the technological marvel of Google Glasses. Something like on-demand movie streaming and instant live coverage of visuals from Google glasses into Youtube is not ruled out. Although, Youtube has not officially made any announcement regarding this speculation, technology followers are pretty sure that Google is now all set to jump into the subscription model with Youtube.